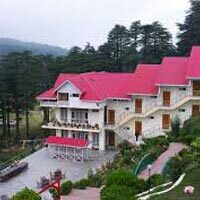 For your next Group Meeting, Product launch, Training Program or Incentive Tour, you have a customized solution from Glorytrip at the beautiful location- PatniTop. From 20 persons to 100 persons can be easily accommodated in our Two Conference Halls and a Banquet, which offers conference aids and choice of Food and Beverage to meet every palate. 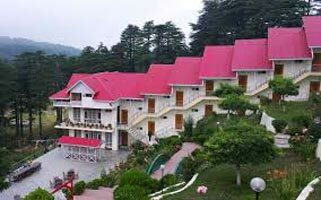 Some of our Resorts are immaculately built amidst Deodar trees and nestled in the heart of PatniTop, facing the picturesque valley of Chenab basin, snow-capped peaks of Himalayas. Some of our Resorts have 24 hours Hot water, Centrally Heated Rooms and power backup. Our guest rooms are equipped with smart basic amenities such as telephone, TV, tea-coffee maker, laundry and 24 hrs room Service. When you are tired after holding a full day discussions on your business strategies, you can unwind yourself with the activities arranged by hotel on the Sun Deck. The Sumptuous multi-cuisine restaurant takes care of your appetite and taste buds offering Indian, Oriental, Continental and Local cuisines. For your next Group Meeting, Product launch, Training Program or Incentive Tour, you have a solution. Free time suggestion: Visit Nag Temple Club House Youth Hostel and Log Huts area on your own.